The bed was surprisingly comfortable the shower was lovely. You can even order your meal and go to collect and eat in your room if you like. The hotel was extremely clean & the bed was very comfortable. For the price I was expecting the worst but it far exceeded my expectations. Large clean room with TV and Tea/Coffee. Decent bar and bar food served until 9pm. Easy to find from the motorway, just a few miles from Bristol city centre and plenty of parking. Location for the industrial estate was good. Slept well in comfy bed. Great location, quiet room, excellent value for money. Friendly staff , clean comfortable room. Good variety of breakfast food. Location near the M5 and A38 is very good. Receptionist was extremely helpful and changed a room for a downstairs room as I had forgotten to ask for disabled access for my elderly mother. Bed was super comfy. Almondsbury Interchange Hotel This rating is a reflection of how the property compares to the industry standard when it comes to price, facilities and services available. It's based on a self-evaluation by the property. Use this rating to help choose your stay! Set in a prime location on the outskirts of Bristol, Almondsbury Interchange Hotel offers en suite accommodations, free parking and a bar. This family-run hotel is only 10 minutes' drive from Bristol Parkway Rail Station, and is 0.5 miles from the M4 and M5 motorways. 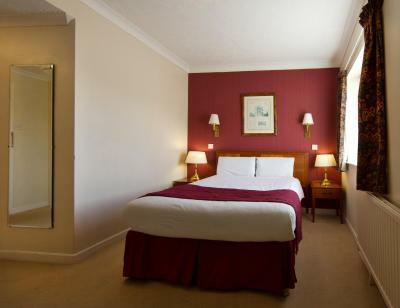 All the rooms at Almondsbury Interchange Hotel include a TV and tea/coffee making facilities. Only 15 minutes' drive from the heart of the city, this hotel provides an ideal base for those traveling by road, rail or air. Bristol Golf Course is less than 3 miles away. The Mall at Cribbs Causeway is within 10 minutes' drive. When would you like to stay at Almondsbury Interchange Hotel? Double bedrooms feature a telephone and modem point, satellite TV, tea/coffee-making facilities and a hairdryer. All rooms have private bathrooms with bathtub and shower. 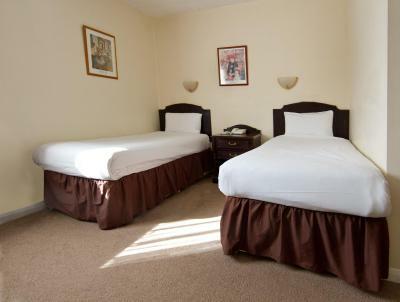 Family bedrooms feature a telephone and modem point, satellite TV, tea/coffee-making facilities and a hairdryer. All rooms have private bathrooms with bathtub and shower. They have a double and a single bed. Single bedrooms feature a telephone and modem point, satellite TV, tea/coffee-making facilities and a hairdryer. All rooms have private bathrooms with bathtub and shower. House Rules Almondsbury Interchange Hotel takes special requests – add in the next step! Almondsbury Interchange Hotel accepts these cards and reserves the right to temporarily hold an amount prior to arrival. Please note that parking spaces are limited and are on a first-come, first-serve basis. Wifi not available in rooms. This is a major issue when I have to work in my room. I arrive mid afternoon and had planned to work all pm and then next morning as I stayed until the checkout time but had to change to another venue to work. Radiator on in the bathroom, that you can't turn off. Like a bloody sauna. Only supply one towel, no little towel for an evening wash, so have to use the one shower towel, which would then still be wet for a shower in the morning. But with the radiator on, it dries your towel! But you have to sleep in a sauna! Maybe that is the hotels plan to save on the towels! So with room being so hot, you have to open the window, but with the A38 feet from your room, bloody traffic was terrible. Had to sleep with tissues in my ears. Only a small window, so still hot and unable to breath or sleep. One step off a Beirut holding cell! Perfect stopover between London and Wales. Staff really friendly and the £5 breakfast was an absolute steal. Will definitely stay again. Price of drinks is absurd. Bathroom poor quality. Staff were all nice. Room was clean. Parking and access excellent. Bathroom getting dated. Window was boarded up !! The staff are very helpful, kind and welcoming. Breakfast was hot and tasty and great value for money. Would recommend. The building was very tired. The windows in my room had no paint on and were hard to close. The corridor going to the room were tired and smelt damp. The bed was very comfortable and the staff helpful. The service was spot on and staff very helpful. Clean tidy but room was dated. No water in bathroom. Contacted reception and told there's a problem with supply No offer of bottled Water. Very disappointing. We had two rooms and my co-workers had plaster hanging from walls again very disappointing. Will not be stopping there again. Disappointed with booking.com as this hotel, B&B can be used on there web site. Not exactly disaster, but as the coffee machine was unserviceable at breakfast, the start of my long day travelling, without my usual double espresso, or two, was not ideal ! 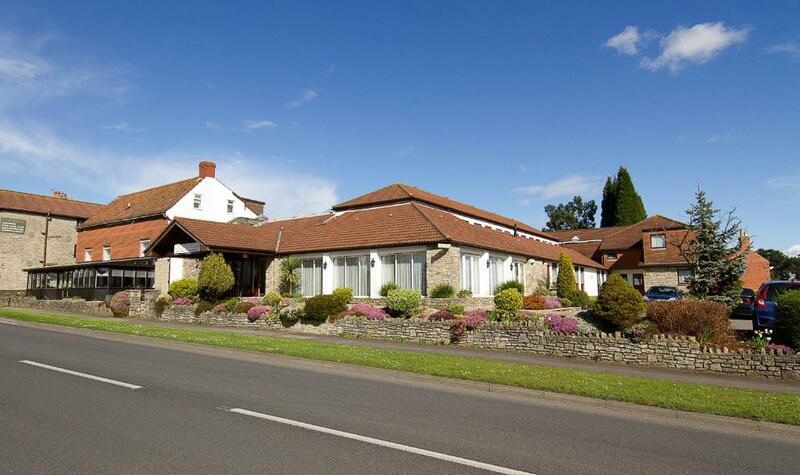 The property is situated close to the M4/M5 interchanges well as to Bristol itself. The hotel has a large car park - non-fee paying. Telephone queries were handled quickly, competently but with maximum assistance and minimum fuss. The staff with whom I had contact were all unfailingly friendly, open and pleasant. Breakfast was good value, with a decent choice available. Because the hotel is used by trades people you have to be prepared to be woken up before 6 when they are off to work. Although this hotel is very dated it is good value for money. The beds and TV have been updated and are very good. The car park does not feel so safe to leave a vehicle in. There are police warning signs every where about burglers so that suggests to me they have had them. Motorcyclists there is no designated place to lock your bike to. (I used the fire escape steps but not great as in dark part of the car park) Our room was out back on the ground floor and did not feel so safe falling asleep with the window open. The room and corridors had a funny smell. Its handy if you are working on that side of Bristol. Stay in a room upstairs and not round the back. We had a room upstairs last year and it was a better experience than the one we had this year. Damaged bathroom tiling, very odd / musty smell in room. poor glazing / lack of double glazing. Return of cooked breakfast, although now extra. cost at £5, reasonable value, as unlimited.